The Florida Fish and Wildlife Conservation Commission (FWC) has temporarily made snook and redfish catch-and-release only from the northernmost point of Anna Maria Island in Manatee County to Gordon Pass in Collier County. This was done through an Executive Order in response to the naturally-occurring red tide bloom in southwest Florida and is in effect until the next FWC Commission meeting, which starts Sept. 26. 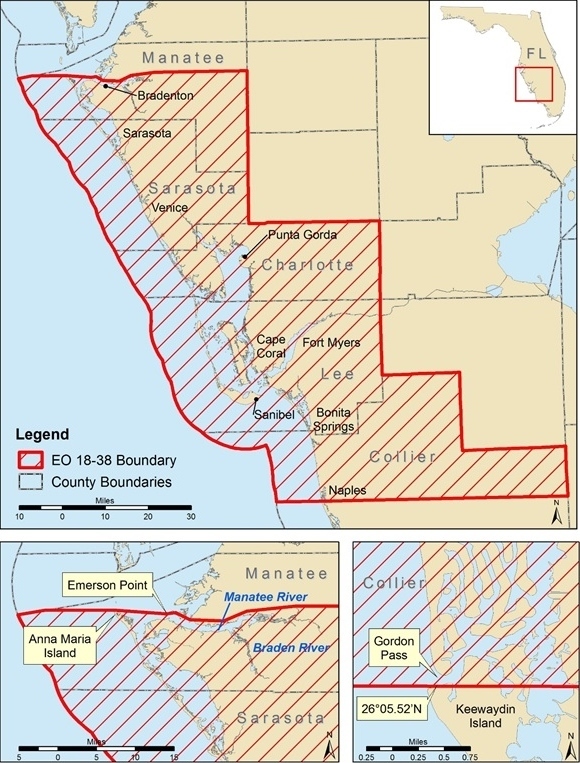 Sutton has spent significant time in the areas most impacted by naturally-occurring red tide. He and staff will continue to work with local communities and partners as the FWC manages this issue to ensure recovery of the fisheries. The FWC thanks Gov. Rick Scott for his continual leadership and proactive response during this time. FWC staff will continue working with partners moving forward, including local governments and stakeholders. For more information, visit MyFWC.com and click on "About," then "Executive Orders," or click here. Am always catch and release, they say Snook is a very tasty fish, never have eaten it. I would love to see the stock build up for Snook and Reds, nothing more fun to catch. Well, except maybe a big Jack for a fight. If your true to the sport you should not mind at all, jmo. Would love to see it. Eat snapper and grouper, release snook. I have released a few redfish onto the grill top, though. Tasty. Have eaten both reds and snook several times that others have caught, love both but not at the expense of the stock. Again close both down. It's pretty close to a sure bet that we eat more fish than anyone you've heard of. Haven't had the pleasure of trying either, and probably never will. But that's cuzz we have so much else to choose from that we like. If a guy didn't like anything else or couldn't get near anything else, I'm not going to begrudge him a few meals. But if it's going into the dumpster after freezer-burning for a year in his freezer, I got a problem with him. I don't have a problem with people who keep a few fish here and there for a meal for a family but some of the pictures I see are disgraceful. The offshore people never let anything go, stacks of wahoo and huge coolers of everything else. I've seen pictures of the inshore people in Louisiana filling the boat up the trout you cant even see the cockpit floor. It's disgraceful.